The answer is “Yes,” and the more Bleacher Report continues to grow, the clearer that answer becomes. And, believe it or not, your readers aren’t just copy editors, fellow fans of your favorite team or my mother, who excitedly clicks through everything I write. These days, it’s not so uncommon to have people we write about sometimes actually read what we have to say. So whether it’s Arian Foster answering Bleacher Report’s fantasy football questions, wrestling legend the Iron Sheik tweeting out his boisterous support of a B/R article or one of our soccer stories getting picked up by a Mexican TV station, it’s always fun to get on the radar of someone famous. Little did we think that a major team would actually pay attention to our advice. Last week, world football writer Sam Tighe wrote an excellent tactical breakdown of how Italian side AC Milan scored a shocking Champions League win over Lionel Messi and Barcelona. @karlmatchett @stighefootball Thank you , very interesting piece. In the process, Tighe picked up 50 new followers on Twitter, the article has been read over 21,000 times and Bleacher Report gained some credibility among the soccer cognoscenti. Well, for starters, don’t be shy about promoting your content. You worked hard on it, so show it off on Twitter, Facebook and other social media, and don’t let it go unnoticed. But the other point is that as B/R raises the bar in terms of size and scope, we need to continue working hard to raise the quality bar as well. Would Gandini have responded to Karl and Sam if the article were a steaming pile of poo? Maybe, but we probably wouldn’t have liked what he had to say. So as our content becomes more and more engaging, larger numbers of readers will flow our way, and we’ll all have better opportunities to get our work in front of the people who matter. Adam Hirshfield is Bleacher Report’s Soccer editor. Follow him on Twitter @ahirshfield. 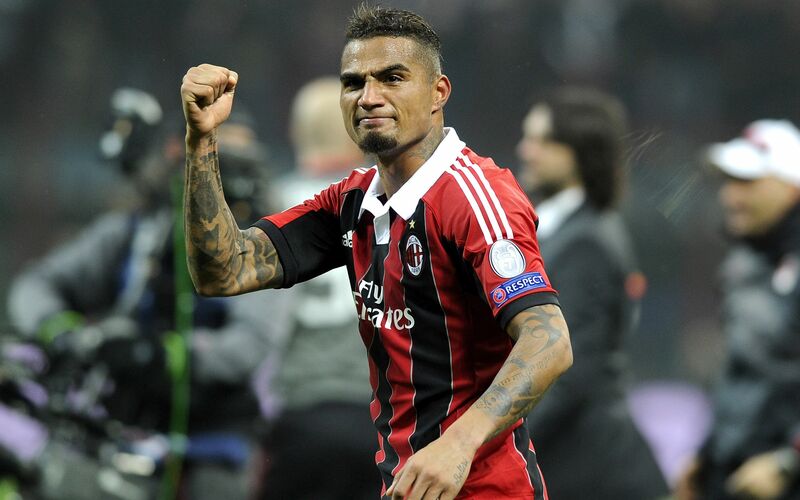 Photo of Kevin Prince Boateng celebrating AC Milan’s victory over Barcelona by Claudio Villa, Getty Images. Very true. Roy Hibbert responded to my article calling him out of shape and Metta World Peace tweeted my article about his being the Lakers’ MVP. Everyone is reading. Jerry Stackhouse read one of my previous pieces on him. Called him a roster filler on the Nets—he didn’t exactly like that and tweeted me some “nice” stuff. But, hey, he read it. Some weeks after I started as a featured columnist, I was surprised to hear that Tony Allen retweeted something I wrote about him being the X-factor of the Grizzlies. Apparently, flattery was appreciated in the “grit ‘n’ grind.” It’s surely appreciated elsewhere, as is constructive critques. As more people read your work, what becomes more important to you guys? writing what you really think/find out/feel, writing that way with a slight edge taken off, or writing something which might be appreciated in case the subject does read it? I think it’s important to write what you really believe (think/find out/feel). It’s cool that some famous athlete you’re writing about might not like what you have to say, but too bad. You can’t be intimidated into pulling punches if you have something critical or negative to say. If they don’t like you, they don’t like you. In the classic sportswriter-athlete relationship, you’d write something critical and then you’d have to face them in the clubhouse or locker room the next day. Almost any sportswriter who’s done that for more than a few days has been yelled at or even physically threatened, though actual violence is rare. hah! nice term. thanks King. I completely agree with the sentiments you express, but I would be surprised if every writer (not talking about just here) found themselves able to write a poor report on somebody if they thought it could be seen by that person.